Hola, we’re off to meh-he-co! 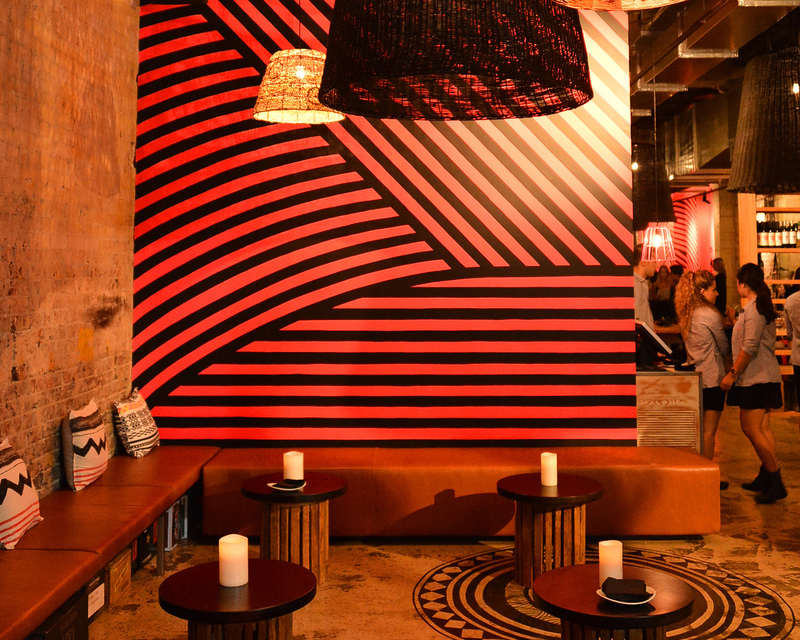 Just when you thought good-ol’ Sydney town couldn’t take another taco… hola, Mejico! Swinging open its doors, right next to Jamie’s Italian on Pitt Street, Mejico has set itself apart from its fellow quesadilla-loving counterparts in various arenas. Firstly, the name. It’s not pronounced Mexico, it’s “meh-he-co” – the way you say it in North America. I’m usually not one for silly restaurant names but just saying “meh-he-co” gets me all excited. I almost want to break into a Mexican hat dance and twirl my brightly coloured skirt. Almost. Secondly, the fitout. You may want to leave your feathered headdress at home because Mejico is no ordinary cantina. Owner Dr Sam Prince, of Zambrero Fresh Mex Grill, has spent over $4 million on a design that features fluro pink stools, leather lounges, an open bar and bold hand-painted striped walls. This vibrant aesthetic, together with a team of staff that strut around in fluro pink-and-white striped t-shirts mean that energy levels at Mejico are high. Thirdly, Mejico does not serve Mexican street food. 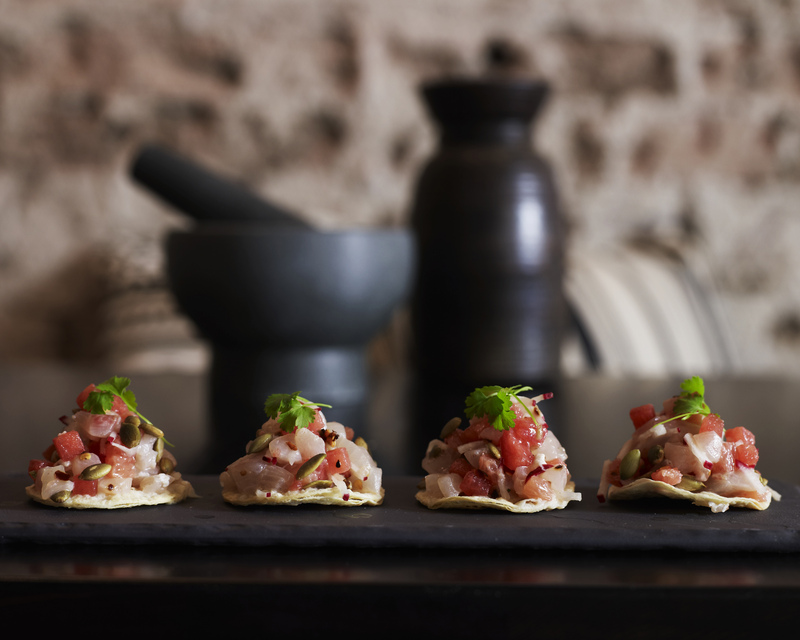 Chef Daniel Schai (imported from Singapore) has created an upmarket menu with dishes such as Achiote chicken and 24 hour smoked pork belly tacos. 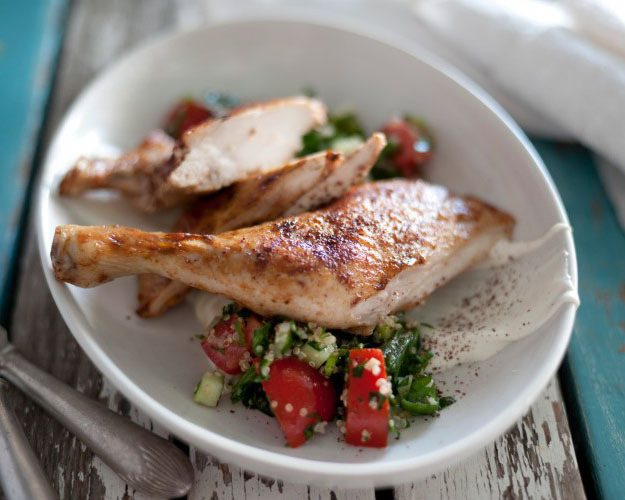 But the key component in all dishes is freshness. And this isn’t the standard claim-to-fresh-produce statement. It’s; “You want guac to start?”. Smack, bang – the wait staff mash it up right in front of you. “Need a corn fix?” Out comes the grill. Plantain chips are made by hand and the tostadas are baked in-house. And lastly, there’s more than margaritas on the drinks list. In fact, Mejico has the longest tequila list in Sydney. If you don’t want to eat, guests can perch themselves at the open bar and enjoy a cocktail or two. Restaurants love to make a claim but most are just that; statements that aren’t followed though. At Mejico, they practise what they preach. Sydney living doesn’t get much sweeter than this. Sprawling out onto Bondi’s promenade, within the Bondi Pavilion, is The Bucket List. It may be touted as the ‘playground of the Pacific’ by The Bucket Lists’ owners but to me it feels more like the ‘playground of Bondi’s beautiful people.’ Loose white singlets, Tsubi shorts and Ray Bans are the order of the day, as are ice buckets of lime wedge-topped Coronas and jugs of sangria or Pimms. 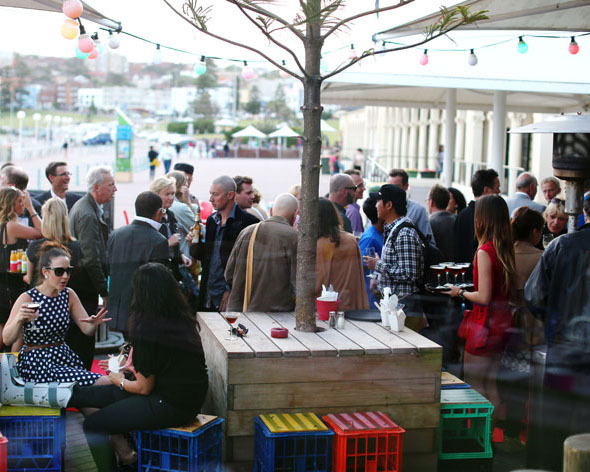 Snag a table outside and you’ll be blessed with panoramic views, not only of Bondi Beach but also of the Eastern Suburbs hipsters who wander along the promenade out front. The best bit though? Whatever day of the week, night or day, the atmosphere is abuzz. It feels like nobody has a worry in the world – no work deadlines, no houses to clean or mortgages to pay. Everything here is happy and carefree. Despite its location, the prices are reasonable and the food offers a range of nibbling options, as well as more substantial delights. Looking to impress an out-of-towner? The Bucket List is your answer. 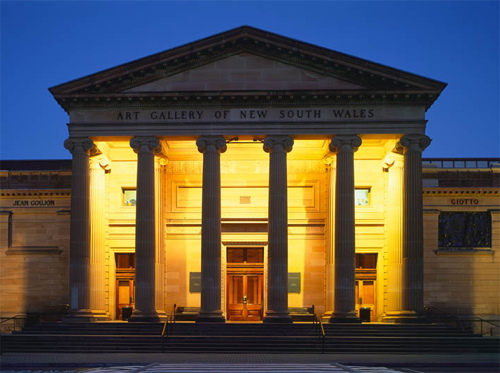 Since when did the Art Gallery of NSW suddenly become a dining destination? I’ll tell you – since Art After Hours became ‘a thing’ and Trippas White Group put The Restaurant on the hospitality map. The Restaurant’s design is as minimalist as its name. An excitable blush of cherry carpet marks the only trace of colour, whilst dramatic floor-to-ceiling windows take in a view of Woolloomooloo Wharf and the tall terraces at Potts Point. As part of Crave Sydney, English bred chef Marc Cartwright created a four-course Modern French menu, inspired by the latest photographic exhibition by Eugene Atget. 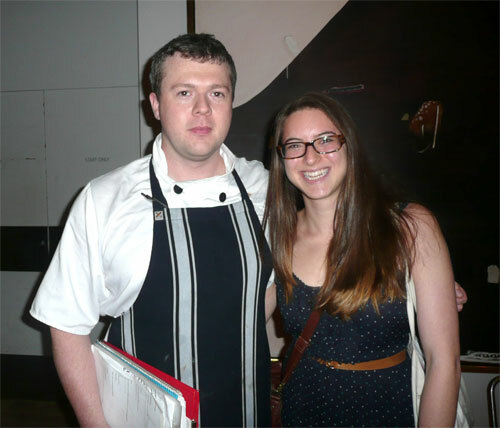 Head chef Marc Cartwright with our food writer, Sami Jo. To begin – an amuse of seared oysters, with foamy artichoke cream, pickled cucumbers and parsley. Now oysters and I haven’t had the most favourable relationship. They leave me feeling as though I have been French kissed by an old fisherman with salt-stained lips from years at sea. So you can imagine my hesitancy when the dish arrived. Let’s just say I think our Facebook status would now read “it’s complicated”. The second course was a deconstructed nicoise salad with raw kingfish that was wistful and eloquent. 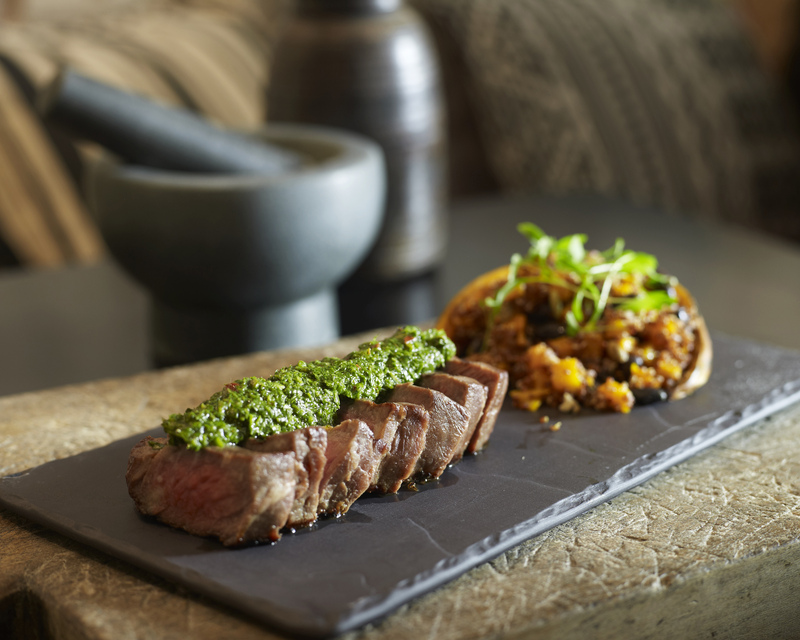 A classic main of perfectly pink filet mignon was generous and robust, but it was dessert that left the biggest impression. An ‘assiette de chocolat’, dolled up in fairy floss was a sinful trio that left my palate on edge. Sensual and seductive, our table could only say four words of our experience: ‘très bien Trippas White’.